A few days ago, Apple launched two updated version of their Retina iMacs. 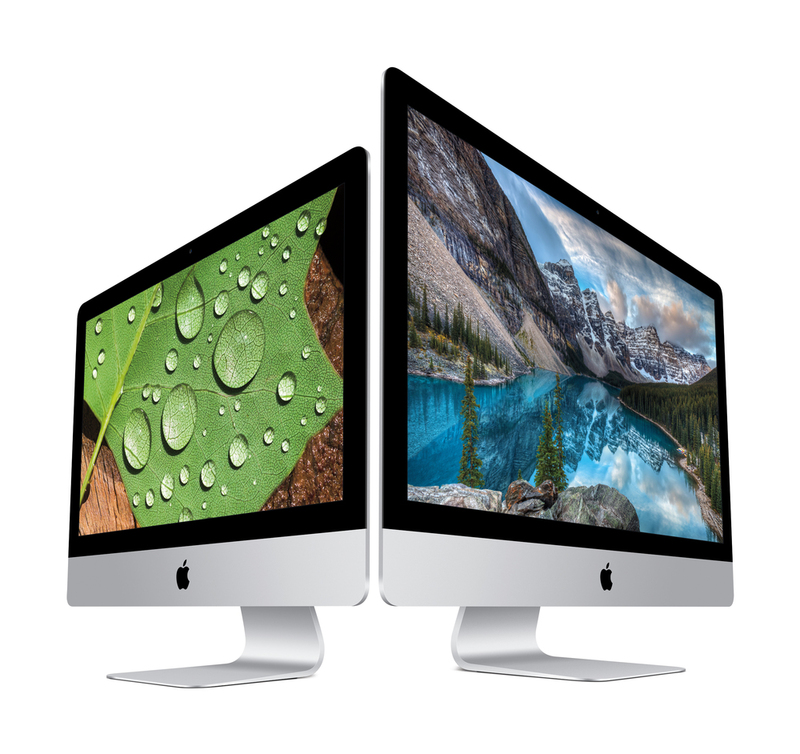 The biggest changes are with the 21.5in iMac, which now sports a 4K Retina display. In the 27in realm, there are some pretty interesting upgrades. First off, the display can now display 25% more colours due to a change in the backlight technology. This, combined with the astonishing Retina 5K display, makes the iMac a very considerable choice for photo/video editing. Also, the processor is now a sixth-generation core i5 or i7 (Skylake). This not only bumps up the iMac’s performance a little but also enables you to add as much as 64GB of RAM into the machine, for lagless applications! OWC sells 64GB RAM kit but it doesn’t come in cheap. Other than that, the new 27in iMac come with an updated AMD Readon M395X (up to), compared to a AMD Readon R9 M295X (up to) in last year’s iMac. This new card can produce up to 3.7 TFLOPS, while last year’s could do 3.5. The smaller 21.5in iMac has pretty much all of the same specs but has a 4K screen. Those two iMacs come standard with the new Magic Mouse 2 and the new Magic Keyboard, which forego the rechargeable AA batteries and use sealed-in, Apple produced, and Lightning recharged batteries. The new keyboard has a completely different look than from the one before and uses the same scissor mechanism found in the 2015 MacBook. The Magic Mouse 2, well, is pretty much the exact same thing as its predecessor, only without AA batteries. Even though Apple quietly announced those new products on October 13’s morning without much anticipation, I think there is quite a bit going for them. If you’re looking for a new Mac, I’d say that the new iMacs are something you should definitely consider. What do you think of the new Apple products? Do you own an iMac? How do you like it? Let us know in the comments!